Seeing Asian musicians on the concert stage these days is not uncommon. What is striking is their level of recent success. The 64th Montreal Symphony Orchestra Competition last November was noteworthy not only because the winner was Ang Li, a Chinese-Canadian, but that overall, four of the six winners from the different age categories were Asian-Canadians. Although Asians constitute only 5.8% of the Canadian population, they make up the largest group (43%) of the nation's visible minorities. They are well represented across the country and excel in various fields, including science and engineering. Outside the sciences, the number of Asians making a career in the classical music industry is becoming more notable, with the Chinese and Koreans leading the way. Korean-born violinist Young-Dae Park, a 25-year veteran of the Toronto Symphony Orchestra (TSO) and a violin coach for the Toronto Symphony Youth Orchestra (TSYO), recalls that when he studied at the Royal Conservatory of Music in the 1960s, there were only two other Asians in the entire school. In the Glenn Gould Professional School (GGPS) alone, there are currently eighteen students from Asian countries, not counting Asian-Canadians. According to Jenny Regehr, a piano examiner for the Royal Conservatory of Music who is also on the faculty of the GGPS, more Asian students have been going through the exams over the last ten years. And there is no lack of Asian musicians playing in Canadian orchestras. Park notes that "over half of the string section in the TSYO now are Asians, of whom eighty percent are Koreans." 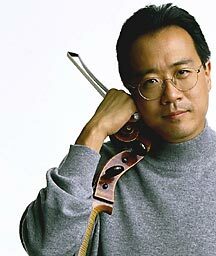 The stereotype that Asians excel in the sciences rather than in the arts implies that Yo-Yo Ma, Midori and Sarah Chang are anomalies in the music world. The outcome of the recent 64th Montreal Symphony Orchestra Competition is just one example that refutes this conclusion. Other examples include the fact that top winners in the piano and violin categories for the latest Kiwanis Music Festival were predominantly Asian, and the last two gold medallists of the prestigious Honens International Calgary Piano Competition were Chinese. As well, TSYO concertmasters during the last five years have been Asian. That Asians are increasingly excelling in the musical arena can partly be explained by culture. They are reputed for being academically inclined and possessing a strong work ethic with a high level of discipline that serves as a powerful driver for success. Parental influence is a key factor nurturing this attitude towards progressiveness. Asian parents actively encourage their children to study music at an early age in order to enable them to become well rounded and disciplined Because music lessons are expensive and considered a privilege reserved for the wealthy and cultured, Asian parents take their children's music education very seriously. Consequently, they are more apt to accompany their children to lessons and push them to practice diligently at home. More ambitious parents may even tag child prodigy potential to their offspring, thanks to the example of high profile virtuosi like Midori. Sometimes, parents transfer their unfulfilled aspirations to their children. Such was the case for violinist Sydney Chun, one of the newer members of the TSO. Her mother played the piano in her native Korea, but regrets not pursuing it professionally. As a result, Chun feels that her mother greatly influenced her decision to become a professional musician. She also credits the growing number of successful Asian role models, in her case Kyung-Wha Chung, for further inspiring her to pursue a career in music. Ironically, although Asian parents often enrol their children in music lessons, they tend to consider music as an extracurricular activity rather than as a possible career option. Whereas medicine, law and engineering are deemed respectable professions, a music degree is not regarded as "real education," a perfect illustration of Asian pragmatism. "There is some degree of sexism," notes Chun. "Asian parents will push their sons to become doctors and lawyers, but their daughters to become musicians." Park shares the same observation, noting that there are far more female Asian players in orchestras than males. Does being a visible minority in the music industry present unique challenges to Asians? Park and Chun, both seasoned musicians, say that they have never experienced discrimination because of their ethnic background. Amy Park (no relation to Young-Dae), a Korean-born student in the eleventh grade and current concertmaster for the TSYO, hopes to pursue a music degree in performance. "Certainly there are many barriers [to pursuing music as a career], but they don't have much to do with being Asian," she says. She does think that Asian parents instil in their children the idea that they have to push themselves harder because they belong to a minority group. Andrew Kwan, an artistic manager who represents several Asian players in his roster, comments, "The classical music market plays no favouritism to any culture," affirming that Asians and non-Asians alike face the same challenges in trying to break into the industry. On the other hand, some believe that being Asian actually has its advantages. Philip Chiu, a Chinese second-year performance piano student at the GGPS, says that "some teachers may think that Asians are better students because they practice more!" While Regehr hesitates to make such a generalization, she does observe that students from Asia usually have a tradition of respect for teachers and tend to follow their instructors' advice more readily. Stereotypes associated with Asian musicians remain. Undoubtedly, Asian players tend to favour the piano and the violin, the Chinese being considered the better pianists and the Koreans the better violinists, as exemplified by artists like Lang Lang and Sarah Chang, respectively. This generalization may be founded on the fact that the best-known classical music repertoires are written for the piano and violin, thereby attaching a "glamour factor" to these instruments. Also, for parents wanting their children to learn music at a young age, the piano and violin are more feasible; playing a brass instrument, for instance, would be more cumbersome for a small child to handle physically. It is therefore no coincidence that the Suzuki method was developed by a Japanese musician who originally conceived the method for the violin. When considering the subject of Asians in the classical music scene, perhaps one of the most prevalent stereotypes is related to artistic ability. Just as Asians are thought more likely to excel in the sciences rather than in the arts, Asian musicians are more often acknowledged for technical merit instead of artistic expression. Overcoming this stereotype is likely one of the more formidable challenges for Asian musicians today. With a growing concentration of Asians in major Canadian cities, and an increasing number choosing a career in music, one might expect a similar trend reflected among concertgoers. But this is not necessarily so, according to Liz Parker, Public Relations Manager at the TSO, herself half Japanese. "Certainly, concerts that feature Asian artists like Midori are very well attended by people from their ethnic groups, but the audience in general does not reflect the diversity of the population." The TSO does not officially compile data on its subscribers and donors based on ethnicity, but it is "definitely aggressively going after the Asian market, particularly the Chinese and Koreans." The TSO now features a Chinese-language website and telephone hotline. Concert ads are taken in Chinese and Korean newspapers and interviews are aired on Chinese radio and television. For the 2004�2005 season, plans are underway to create distinct programming and subscription offerings aimed at the Chinese community. Mike Forrester, vice-president of Marketing and Development, is tight-lipped about details but admits that tickets sell extremely well through the Chinese hotline. "I'm confident the marketing efforts are already working, and I'm very thrilled and optimistic that more Asian concertgoers will come on board."